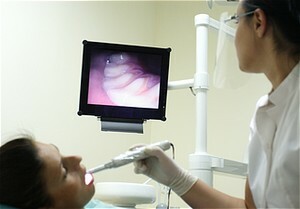 Digital x-rays allow the doctor to get a much better view of your teeth and potential dental conditions. 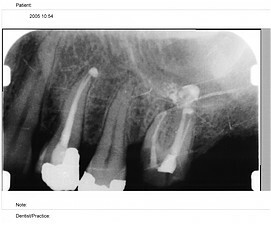 The digital imaging software allows the doctor to see a number of different views of the tooth to gain a better understanding of the proper course of management. Digital x-rays provide a great benefit to the patient. Not only are they an excellent diagnostic tool, but they decrease radiation to the patient by over 90%. Patients receiving restorative or cosmetic dentistry treatments can relax and watch their favorite movies at the same time. We provide “virtual reality” goggles that feature fully adjustable stereo sound and can be worn over eyeglasses. Patients can bring in their own movies or choose one from our library.